Dr. Jeff Patterson, a former International Councilor of IPPNW and former president of Physicians for Social Responsibility, IPPNW’s US affiliate, died unexpectedly of a massive heart attack on January 24 in New York City as he embarked on an international trip. IPPNW members from around the world have been expressing their shock, sadness, and grief at the loss of a good friend and tireless peace worker and humanitarian. The following remembrance was published yesterday by PSR. Jeff Patterson, DO, was an indefatigable champion who served Physicians for Social Responsibility (PSR) and will be sorely missed by all who knew and worked with him. Jeff exuded compassion. He cared for human life and committed himself to the relief of suffering; it motivated all his work. Jeff was a gentle soul with a powerful spirit and always provided a calming influence in difficult times. 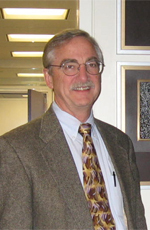 Dr. Patterson’s first work with PSR was establishing the Madison, Wisconsin chapter. With two other founding members, he challenged the concept of a “winnable nuclear war.” Over the years, Jeff has stayed very active in the chapter, providing direction to interested medical students on nuclear weapons and nurturing their understanding of humanitarian ethics. He was also a sought-after public educator and media spokesperson. Dr. Patterson served for decades on PSR’s national board of trustees, including two terms as the president, in 2010 and 2013. He served as International Councilor with International Physicians for the Prevention of Nuclear War, winner of the 1985 Nobel Peace Prize. He traveled extensively in the former USSR, visiting Chernobyl and sites of nuclear testing and nuclear weapons production. He lectured about the effects of nuclear weapons and radiation there and in Europe, as well as in the US. He was also interested in non-violent alternatives to war as a means of preventing combat and in sustainable methods of ameliorating climate change. He provided pivotal guidance to staff and educated the public on the threats from nuclear power, especially after the disaster in Fukushima. 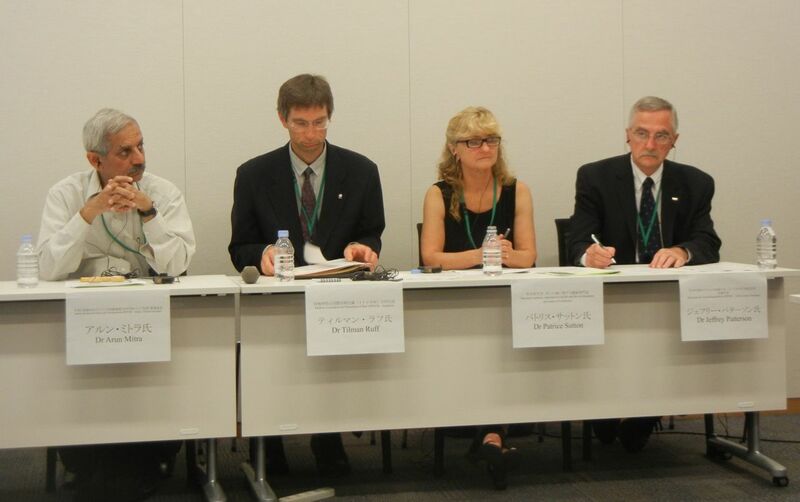 Jeff Patterson (right) speaks at an IPPNW press conference in Tokyo, in August 2012, one day after participating in a medical fact-finding mission to Fukushima. “Jeff was so committed to our collective struggle to protect the world for our children and grandchildren,” said Dr. Bob Gould, current president of PSR. While Jeff regularly served as an expert speaker, he approached this task from stories of human health and as a witness to those suffering. He had a gift for sharing the stories of people impacted by radiation exposure, from poor, elderly farmers in the abandoned land around Chernobyl and concerned mothers downwind of Fukushima to veterans exposed to radiation in the line of duty. All were stories from his own experience as a physician/activist and from first-hand conversations with the people affected. Besides his extensive service with PSR, Dr. Patterson was the medical director of the Hackett Hemwall Foundation (HHF), a charitable foundation doing charitable medical work in Honduras, Mexico, and the Philippines. Through the foundation and with the help of many dedicated volunteers, he taught physicians from more than 20 countries the procedures of prolotherapy to treat chronic pain. As a medical practitioner, he was the former director of the NE Family Medical Center in Madison and a Professor of Family Medicine at the University of Wisconsin. Jeff listened carefully and attentively; he had a huge capacity for kindness and was a nurturing physician and colleague. His internal compass pointed others to just acts and a world without suffering. He served his patients and the international peace community well and we are grateful to have had the opportunity to learn from him. We will miss but always remember his deep, reasonable voice and wise counsel. Jeff is survived by daughter Becca and grandchild, Kira, and Mary Doherty, his loving partner of many years. I am shocked and deeply saddened to hear of Jeff Patterson’s untimely death. What a huge loss for IPPNW, PSR, for the medical community, for his patients and for his family. He was such a stable, reliable presence at all our events, his commitment will be sorely missed.